Over the past year, I’ve gone back and forth when deciding to use traditional clay modeling or jump all into a product like Zbrush or Mudbox. I’ve tried all of them. I have really enjoyed the speed at which I’ve been able to create digitally and the precision of my results. I hope to create an action figure model that can be printed and later painted. My ultimate goal is to print an action figure that can be constructed into a fully articulated figure. 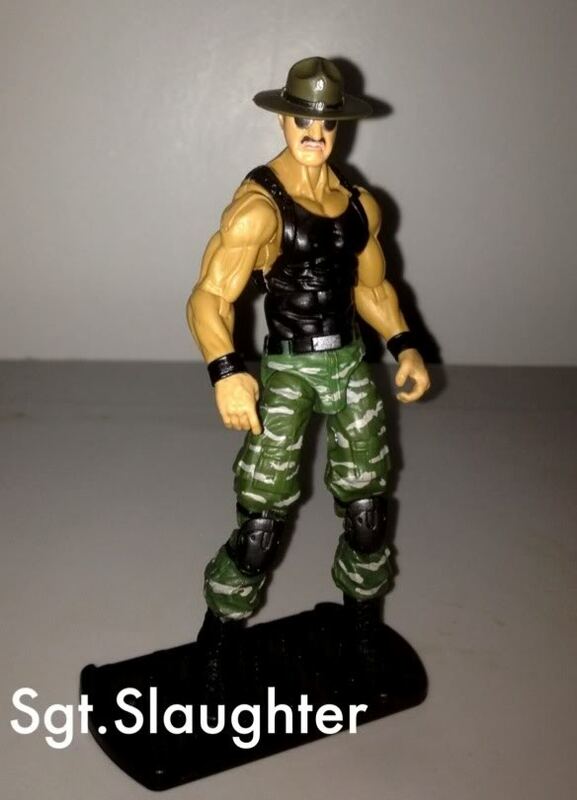 SGT Slaughter was one of my favorite characters on GI Joe as a kid and remains so today. He was a WWF wrestler who’s character was adopted by the cartoon. He voiced the cartoon character and had an action figure made out of him. I’m so excited to be able to make him in 3D.